First, let me say, having a wonderful writer like Garth Stein fly in from Seattle to our little town in Connecticut, is very special. Meeting your favorite writer, being able to ask a question or just listening to an author read from his work is wonderful. Garth was charming and funny, and truly enjoyed interacting with the audience. I have to give him a lot of credit too, because he was working on only a few hours sleep due to his original flight on friday being canceled due to snow and having to take a flight on saturday. 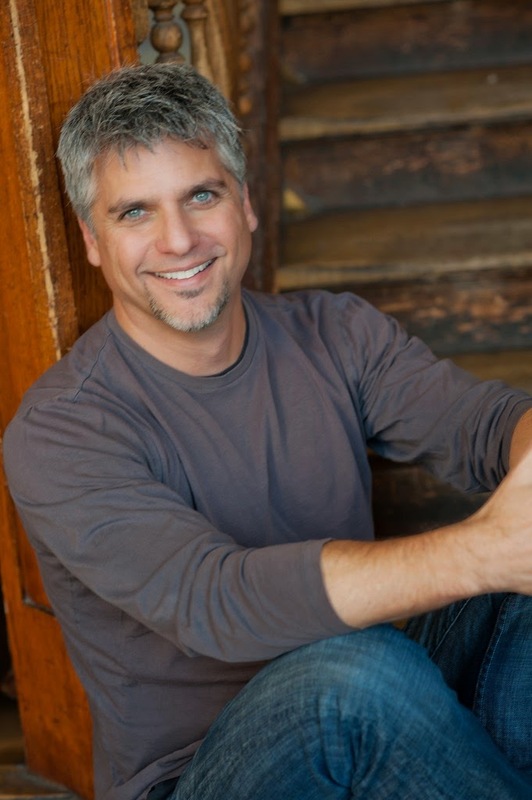 Hosted by Independent bookstore, Byrd's Books of Bethel, CT. and held at the Ruth Haas Library at Western Connecticut State University, Garth Stein walked nonchalantly into the library about 6:15pm. AND he had SWAG! First he walked around giving everyone these cool matchboxes that looked like miniature A Sudden Light books (Very cool), then he handed out Enzo pins, and finally Enzo temporary tattoos! Then he walked up to the podium and started talking, about independent bookstores, about The Art of Racing in The Rain, about his independent film making career, about his connection to Danbury, Ct . (my little home in Connecticut), about his inspiration for writing A Sudden Light, and about being a writer. He was so interesting (ok, he was cute too) and everyone seemed to have a great time. After his presentation, which seemed more like talking to an old friend, he answered questions from the audience and then signed our books on the way out. Thank you Garth for coming to our little town and thank you Byrd's Books for hosting the event! Pearl is fifteen, naive and living a sheltered life in a community called "Seed". She was born into this "family", happy to be a part of her family of brothers & sisters, Kindreds and "Mothers", and loving Papa S, their "father". About The Book: Seed by Lisa Heathfield: All that Pearl knows can be encapsulated in one word: Seed. It is the isolated community that she was born into. It is the land that she sows and reaps. It is the center of her family and everything that means home. And it is all kept under the watchful eye of Papa S.
What did I think of the book? I was captivated from the first page! The writing just drew me in and the characters were so real and full of heart. Pearl stole my heart from the beginning with her innocence and tentative inquisitiveness. Though born and brought up in this environment, she had a keen sense of right & wrong and had feelings that were "normal". Trying to deal with her growing pangs of adulthood while maintaining her "obedience" became an ever growing problem that made the story all the more real. A few shockers and a larger than life ending made it quite the literary trip. I have to say that I read it in one sitting because I just could not put it down. The story slowly builds into the climatic ending and when I turned to that last page I was looking for more! And I am going to get it, because there will be a sequel! Thank goodness, because when you read this first installment, you are going to want more too! Definitely a book for readers who enjoy those stories with the conflict of the cloistered world versus the "outside" with a touch of mad cult leader. The book reminded me a bit of those Amish literary books, but with a heftier dose of real world. 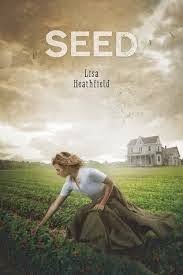 Chick with Books is just one stop of Lisa Heathfield's Blog Tour for her book, Seed, which will be published March 10th, 2015 by Running Press, and available at your local bookstore then! I want to thank Running Press for the review copy of Seed!